Ottoman Empire was the last greatest Muslim Empire that lasted from the end of 13th Century to the start of 20th Century. Starting from Northwest Anatolia, the Ottoman Empire gained control of large parts of western Asia, central Europe and North Africa at its peak. But during the 17th Century (especially after Battle of Vienna in 1683), the Ottoman Empire started to lose its political influence by losing its European areas one by one. During World War 1, the Empire sided with Germany in order to regain its lost areas. But the war ended with complete destruction of Ottoman Empire and the empire was replaced by Republic of Turkey which holds the area of Anatolia only. Following are the main reasons for the decline and fall of the Ottoman Empire. The first ten Sultans of Ottoman Empire (from Osman I to Suleiman I) are ranked as the best rulers of the empire. But the later rulers proved to be incompetent ones who could not retained the supremacy and influence of Ottoman Empire. Though, the political decline started later in the 17th Century during the reign of 19th Sultan Ahmed II, but the way was paved for this decline far earlier when Ottomans started to lose battles against opponents. They were no longer feared due to these military defeats as a result of incompetency and incapability of the later Ottoman rulers. The situation worsened miserably further with the passage of time. Janissary was a special infantry unit formed by third Ottoman ruler Murad I in 1383. These were specially trained unit that played important role in the initial successes of Ottoman Empire. But with passage of time, this unit became indiscipline and the later incapable rulers failed to control them fully. They opposed any effort of modernization in military and even assassinate few Sultans and Viziers for their purpose. Sultan Murad II abolished this elite unit by force in 1826. 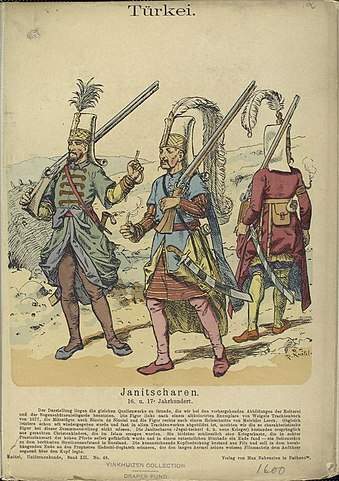 This indiscipline attitude of janissaries was an important reason for the decline and fall of the Ottoman Empire. Suleiman the Magnificent is regarded as one of the best and the last great sultans of Ottoman Empire. But he committed such mistakes that proved harmful for the empire later. He was under the influence of his favorite wife Hurem Sultan who was an example for harmful women’s role in state affairs. Suleiman started personal selection of public servants which was later misused by the new emperors. Suleiman initiated the custom to hear the proceedings of ‘deewan’ from window instead of personal participation. Later, his successors completely ignored the ‘deewan’. The cruel custom of assassination of brothers of the new Sultan was started by Bayazed Yaldrim and it later became part of law in the era of Muhammad II. The purpose of this custom was to eliminate any potential rival of Sultan for political stability. But this cruel law also deprived the empire from many capable rulers and played a part in the downfall of the Ottoman Empire. The cage system was also initiated by Suleiman the Magnificent. Under this system, princes were kept in cages instead of palace and there was no system of necessary training for these princes. It was an important reason for emergence of incapable rulers after Suleiman which brought the downfall of the Ottoman Empire. The initial ministers of Ottoman Empire were very wise and competent who played important role in the expansion of empire. But later ministers were chosen on the basis of political influence instead of their wisdom and ability. This combination of incapable rulers and ministers played vital role in the demise of the Ottoman Empire. 17th Century was the time of declining of Ottoman Empire and emergence of Russian Empire. 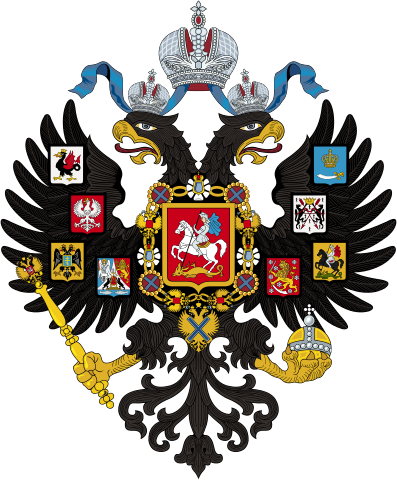 Russian Empire became the direct rival of Ottoman Empire and it used the slogans and emotions of (Slav) nationalism and (Christian) religion to stage war against Ottomans. After initial losses, Russians almost always remained superior against Ottomans and they brought the quick demise of Ottoman Empire. During declining of the empire, many Sultans tried to reverse the situation through reforms. But their efforts were failed not only by Janissaries but also by common people who considered these reforms against Islam. As a result, Ottoman Empire could not reach the level of emerging European powers that brought the downfall of the Ottoman Empire. Young Turks’ movement was a reformist movement in Turkey but the movement was based on Turkish nationalism. This nationalistic movement also influenced other nationalistic movements in the empire. The most important one was Arab Revolt that emerged due to weakening of Muslim brotherhood that was replaced by Turkish nationalism. The feelings of Arab nationalism were present in Arab areas of Ottoman Empire at the start of 20th Centuries. These sentiments were used by British during World War 1 and they assured their support to Sherifite of Makkah for the establishment of a United Arab State. For this purpose, the Arab Revolt initiated in 1916 against the Ottomans which played important role in the separation of Arab areas of Ottoman Empire and the fall of the Ottoman Empire. This revolt was very important as it deprived the Ottoman Sultans for using the title of Caliphate. During the decline of Ottoman Empire, the military power was also declining as they were far behind the technological advancements of European powers. The reforming movement was too slow and too late and this decline in military power proved to be an important reason for the fall of the Ottoman Empire. Ulema (religious scholars) had an important role in the government affairs and their decree was considered important for important issues. But several times these scholars used their influence wrongly that proved harmful for the empire. Ulema gave their decree in favor of assassination of Salim IV by Janissaries, assassination of new Sultan’s brothers and alcohol drinking of Salim III. During Turkish War of Independence, ulema were divided among their support and opposition for Mustafa Kamal Ataturk. During their decline, Ottomans lost vast important areas which put bad effects on economic conditions of the empire. The problem was accelerated due to continuous warfare. The declining economic situation also played important role in the decline and fall of the Ottoman Empire. Majority population of Bulgaria, Romania, Greece and few other Ottoman held areas were Christians. When Russia, Austria and other countries used their Christian religious sentiments, they started rebellions in these areas. Several minorities also took inspiration from nationalistic ideologies of the era which proved decisive for Ottoman failure to retain control over many areas of their empire.